Trappist-1B! I gave it Liquid Sulfur Lakes(You can see one glowing from heat on the back), as well as it's compact atmosphere. And Trappist 1-C! Only One More! I gave C a Mars-look. The Final Addition To The TRAPPIST-1 System! Please Give a Warm Welcome to D! 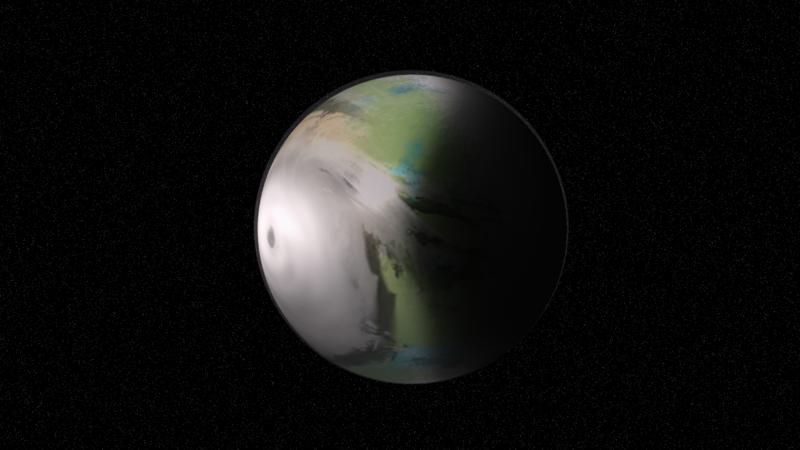 T-1d is Another "Eyeball Planet" and Has a Desert Front, Grassy and lake filled middle, and a frozen back. I Will Assemble A Banner Soon! [removed] Does This Look Good? I think you could add something like stars to be a bit more the other picture! @cratercracker @Cabbink I'm also working on my own renditions of the Trappist system. Currently I have the host star and the first four planets done for my banner. Originally I was going for a limited view of the system from Trappist-1h, but earlier today I decided to make a banner similar in style to NASA's image of the system. As of now I need to finish the last three planets, give some of the planets clouds, and make a proper background. @electricpants The designs in the upcoming image will be used in the next version of IA-Revived. Man, I really need to get back to working on it. New Banner Background! Don't Ask Me How Long it took to make the stars. So close to being done! All I have left to do is make Trappist-1h (Cheimon), tweak the surfaces/clouds of a few other planets, and make a proper background. Oh, and fix the star as well. Very nice! It even has it's own particular art style. Nice touch. I use a shooty-ask duck ton of plugins for PDN though. Plus I used some techniques I learned over the years. Rhea looks nice! And Here It Is! Trappist 1-E! Anyone Notice Something Suspicious on this Picture? Seriously? No one noticed anything odd about T-1e? It has two light sources. But it does also have two light sources. Only about 120° of the planet are in darkness, indicating either a second sun or a very reflective moon. This is because GIMP likes to auto-light stuff. When I added popper lighting, remnants of gimp's bad lighting remained. Okay. Do you see anything odd(besides broken lighting)? 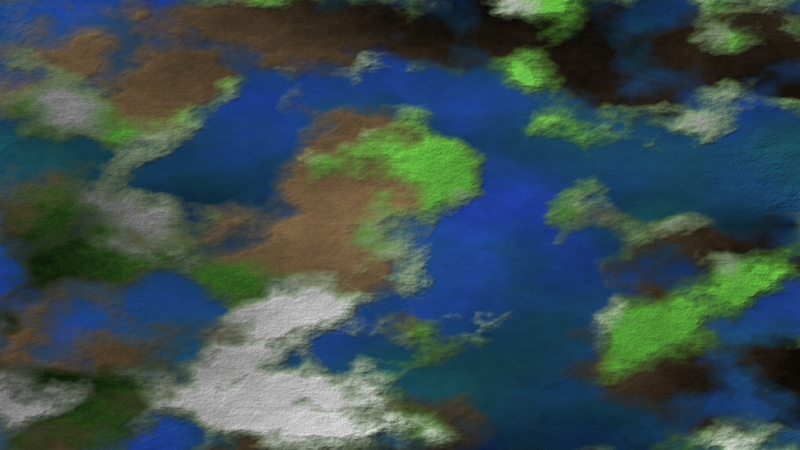 Honestly, after the mess I went through making this, I think I'll just stick with individual planets for a while. But enough about the issues. Time for explanations for each planet. TRAPPIST-1B/THEROS has an unusually low density for its size, which means that it has a significant amount of water. 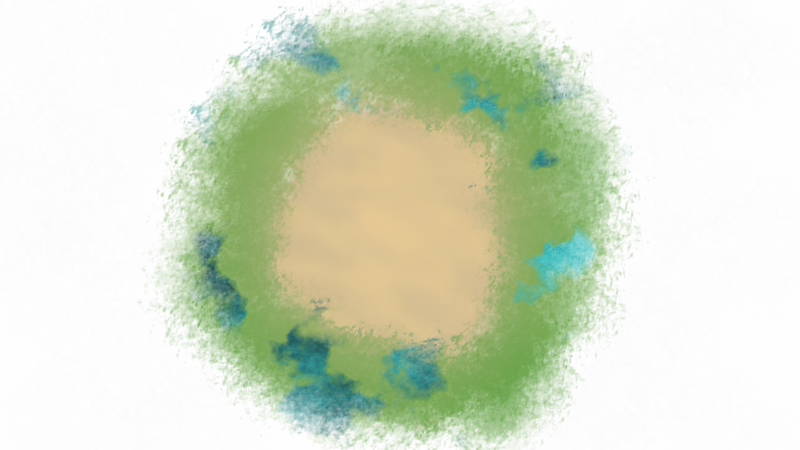 With this in mind, as well as inspiration from NASA's Io-like representation, I designed Theros to be an oceanic planet with a thick atmosphere and large volcanoes poking out of a sulfur-stained sea. Why are the volcanoes purple, you ask? Ever since I thought of a water ocean mixed with sulfur a few months back, I was always wondering about the possibility of chemosynthetic life arising. This is what has made the extinct volcanoes of Theros purple. The thick atmosphere enables significant cloud cover, but solar radiation has pushed most of it towards the back side of the planet. TRAPPIST-1C/AUXO is incredibly similar and incredibly different to Theros. While they have very close sizes and equilibrium temperatures, Auxo's high density means that it is likely an iron planet. 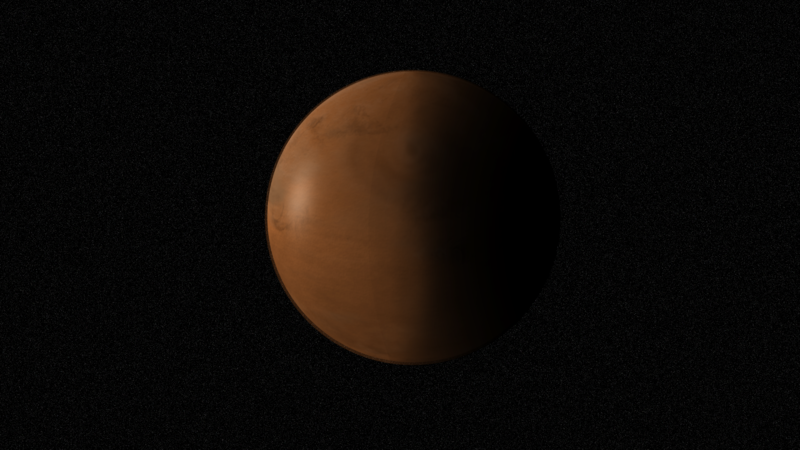 Plus, its position in the Trappist system is similar to that of Eve from KSP. 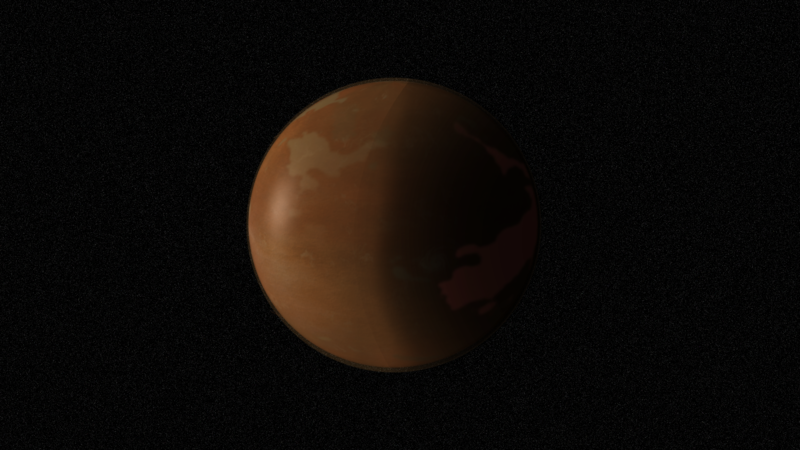 What I did was made a volcanic iron planet with the deserts expected for a world of this temperature and the liquid metal oceans seen on Eve. For a planet with a huge metal content and a temperature of over 200*F, oceans of something like Gallium don't seem too far-fetched. 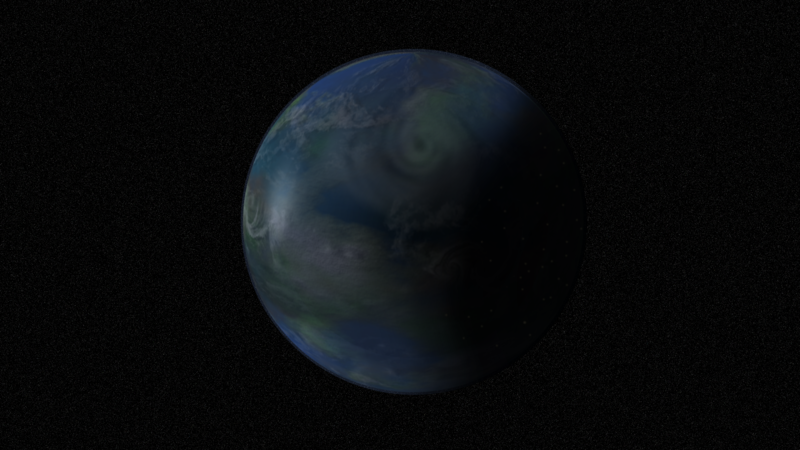 I gave Auxo less cloud cover than Theros, but still left major storm systems. TRAPPIST-1D/THALLO has been excluded from the roster of habitable zone planets around Trappist-1, even though it has a VERY close equilibrium temperature to Earth. While I wanted to give this planet the respect it deserves, I also kept in mind how Thallo receives about 15% more sunlight than Earth. So to satisfy all Trappist-1d fans (@Spaceception) and the scientific data given for the system, I created a small habitable "eyeball planet" design for Thallo. Most of the star-facing side is an African-like desert, but large seas begin to become more and more frequent the closer you get to the terminator. Here, and around every sea, is where dark green plant life can be found. I made the foliage on Thallo green once again because of the somewhat high stellar flux. TRAPPIST-1E/EIAR has a very dubious composition. The new mass value is so inaccurate it can be anywhere between 0 and 80% the mass of Earth. For my model of Eiar, I chose a value closer to the upper limit. I also liked the idea of dark purple plant life to soak up as much energy as they can from the small star. Due to the planet's high predicted density and its small radius of 0.918 Earths, I made the front side a 50/50 split between land an ocean coverage, compared to about 25/75 for Earth. You can also see that the back side ice cap covers more of the planet than on Thallo, which is due to the lower stellar flux. TRAPPIST-1F/IRENE was modeled closely to NASA's rendition because, even with the new mass and composition data, there isn't much needed to be changed. New data for Irene shows that it's quite cold at 200*K and has a density around 1.7 g/cm^3, indicating a composition made mostly of water/ices and some gases. 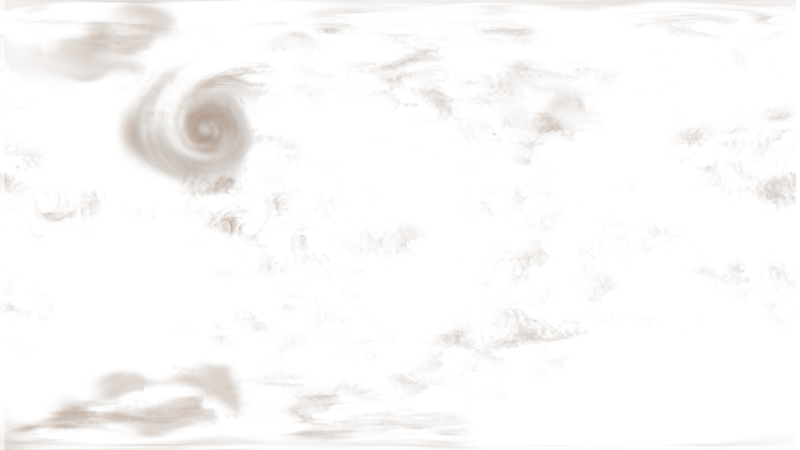 I made the surface similar to what NASA and @Cabbink did, but gave it significant, banded clouding. This is meant to show the gas dwarf-like nature of the planet. TRAPPIST-1G/CARPHOS was designed very similarly to Irene. 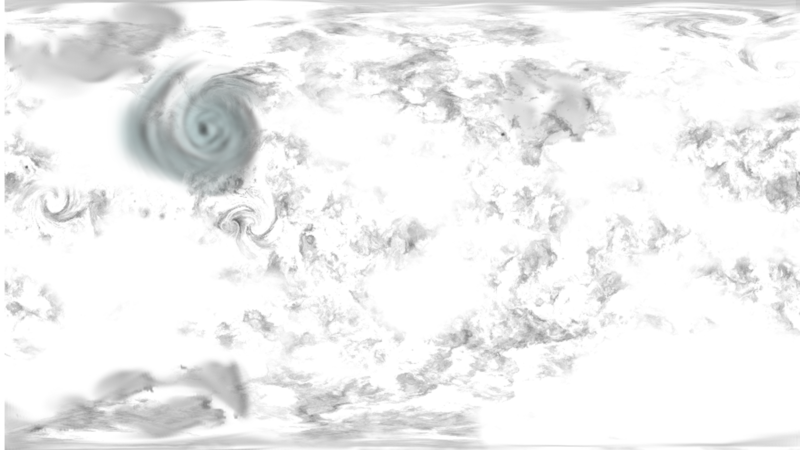 Its surface design was kept from the NASA rendition, and I gave it a gas dwarf-like banding to its thick cloud cover as a result of its low density (2.18 g/cm^3). Also, I kept the green, because why not? TRAPPIST-1H/CHEIMON was the only planet not given an atmosphere. This was because of a hypothesis made about the small planet. Some scientists believe that in the past, when Trappist-1 was warmer, Cheimon may have been like its siblings with oceans of liquid water. However, as the parent star cooled to its present state, the oceans froze and the atmosphere blew away as a result of Cheimon's puny mass (0.086 Earth masses). The minty-colored ice is the frozen ocean, while the grey ice is the original planetary terrain, now coated in a thin frost. 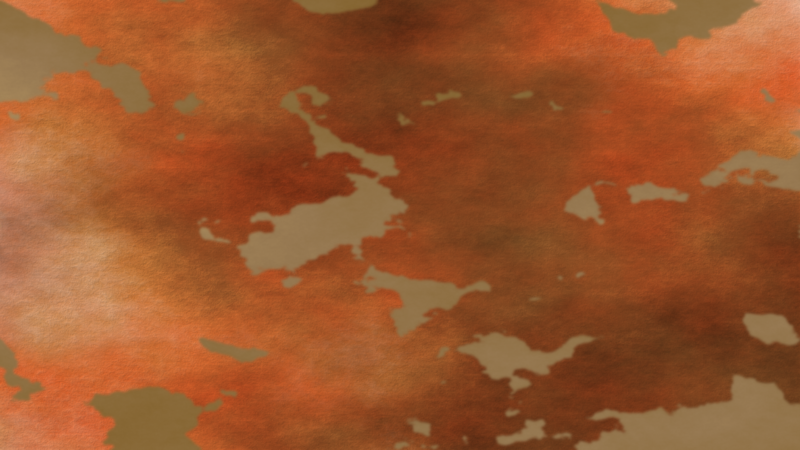 I also gave Cheimon some impact craters. Expect some single-planet images for EVERY Trappist-1 planet coming during the next few days! Very Nice Drawing And Description! I gave T-1H a VERY thin atmosphere to hint at cryogenic activity, like Europa, But Larger. And Since it's So Close to being a water world(It's distance to the snow line) makes it a possible sub-surface water world! 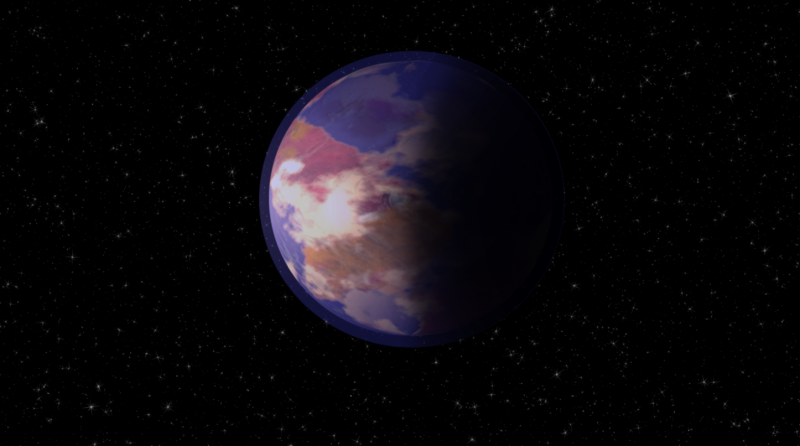 Everyone give a warm welcome to Zarmina(Gliese 581g). 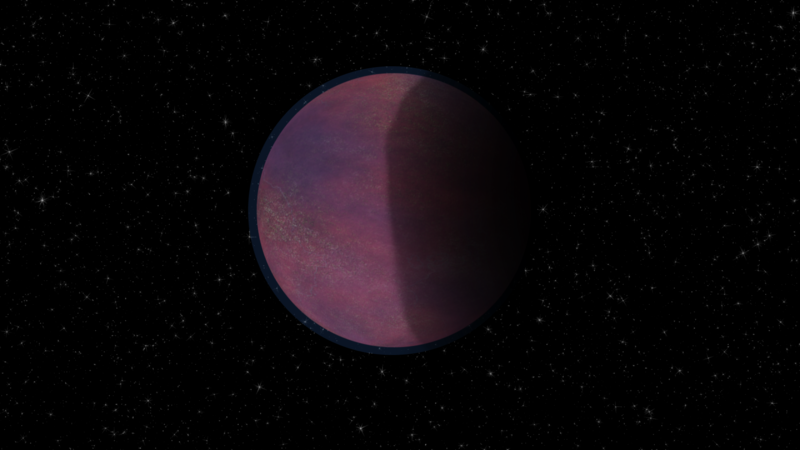 Zarmina is a Theoretical exoplanet that would have the most earth-like ESI. Following Proper Exobiology, The Plants here are red and orange. Welcome Our Massive Super Kerbi-*cough* Earth Friend, Gilese 667 Cc! Welcome Our Massive Super Kerbin Friend, Gilese 667 Cc! Cue "oh Gliese 667Cc has 1k times the tidal forces of Earth and is therefore uninhabitable" arguments. This is a pretty good rendition of the planet: promising, but not the greatest potentially habitable planet. Nice color scheme! Also, how do make these planets? Wasn't 581g disproven like 581f? 2. Create a new layer for sand. Color it Sand Colored. Add a Mask. 3. 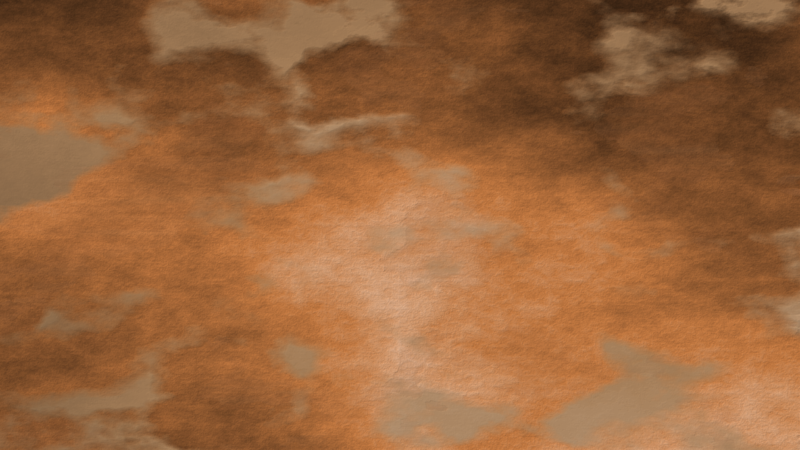 Create Difference clouds map on another layer. Increase it's contrast until its almost up to only pure black and white. Use this as the mask, but do not cut and paste. copy. 4. Create another Noise Layer. Mask it on the other one. Repeat this for each color of terrain.  this way, every layer will only overlay other layers. 5. Collapse all terrain Layers into one. 7. Add Clouds If you want to. Weren't 581-g and 581-f disproven?